Join Up Our Street for a packed four hours of film, poetry and discussion, plus a delicious shared lunch cooked by Bristol Hospitality Network. What does it mean to be Bristolian in 2018? 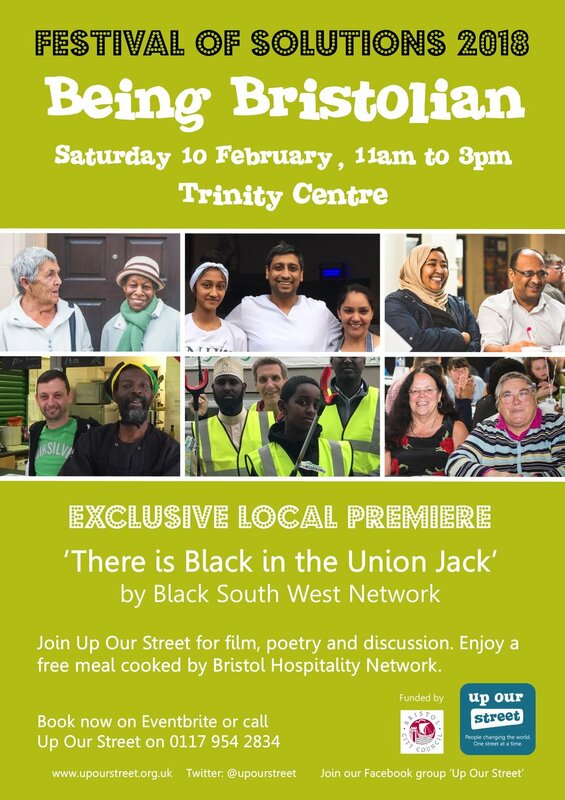 Includes exclusive local premiere of 'There is Black in the Union Jack' by Black South West Network. Priority for tickets goes to residents from Easton and Lawrence Hill, but people from all parts of the city are welcome too. To book a ticket, please see the Up Our Street Eventbrite page here.